[English: Little Mamprusi boys, Boyeni.]" "[original caption] Mamprusi Bübchen, Boyeni." [Original text]: ["Mamprusi Bübchen" durchgestrichen und ersetzt durch:] "Tamprusi in ... ". (PST). Title: "Little Mamprusi boys, Boyeni." 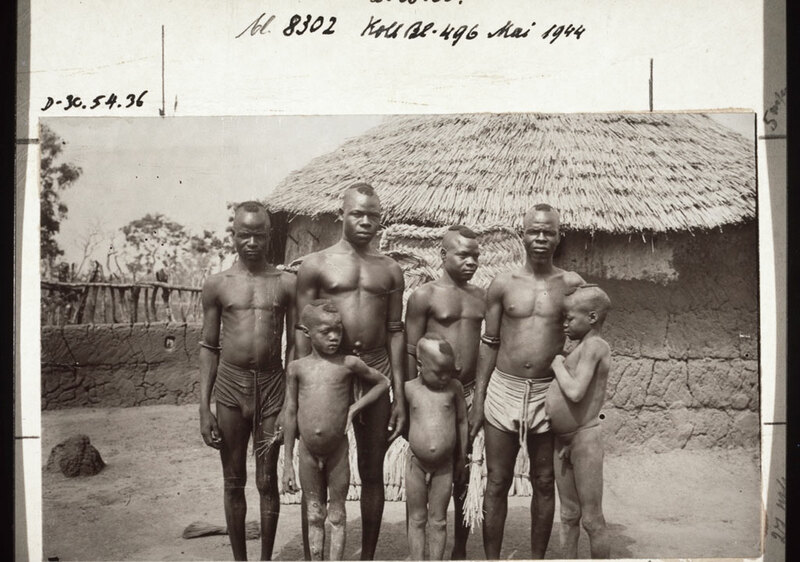 Fisch, Rudolf (Mr) , “Little Mamprusi boys, Boyeni.,” BMArchives, accessed April 19, 2019, http://www.bmarchives.org/items/show/57373.